Whey Maxx amino acid profile (per 100g of protein). [Maxx Essentials] Whey Maxx review. Summary: Whey Maxx is not a good whey protein supplement. Whey Maxx by Maxx Essentials is one of the few tubs of whey protein that I wouldn't finish even if it was given to me. It tastes weird and mixes terribly, but more importantly it's lame nutritionally too. You probably haven't heard of Whey Maxx before or the company Maxx Essentials, and that's for good reason. Maybe 15 years ago this would have been a good whey powder, but these days it's completely blown out of the water by everything else. I'd rather drink Milk. When writing these reviews I always drink the protein supplement as I go along, and I always finish it (can't waste protein). With Whey Maxx however I threw the last half away. It's not the worst for protein and calories, but it's not far off. For some reason it's absolutely rammed with carbs (17.65g/100g when the average is 9.45g/100g), which explains why there's only 70.59g of protein per 100g. This is a disappointingly low amount considering that most whey powders have no trouble hitting the 75g+ mark. Whey Maxx is made up of a blend of whey protein concentrate and whey protein isolate, which is completely standard for the vast majority of whey protein supplements. So considering that it contains the same classes of protein as most whey powders it just goes to show how poor of an effort it is. As I mentioned, it's not as high calorie as the likes of Gaspari IntraPro, but at least IntraPro tastes awesome as a trade-off. Whey Maxx is sub-standard nutritionally and it doesn't make up for it in any other area. Apparently, the flavour I bought was "triple chocolate". However, it genuinely tastes like strawberry. It's so uncanny that I'm not sure if Maxx Essentials are terrible at flavouring, or if they've put the wrong powder in my tub. I guess I'll never know, as I'm never planning on buying a tub of this stuff again. Assuming I have got the right flavour, the best part is the name – triple chocolate. It's not just any old single or even double chocolate; no, it's TRIPLE chocolate. 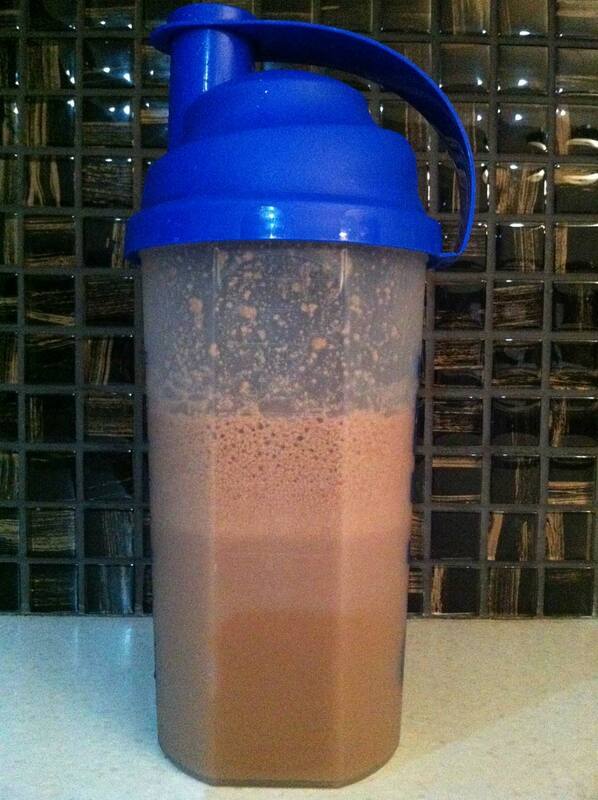 So by my calculations it should taste 3 times as chocolatey as the next best chocolate-flavoured whey. But instead, it tastes like strawberry. Hilariously random flavouring aside, the actual taste isn't bad. If I bought a tub of strawberry flavoured whey and it tasted like this I wouldn't be disappointed. Nonetheless Whey Maxx still scores poorly for it's "that'll do" approach to flavouring and naming. 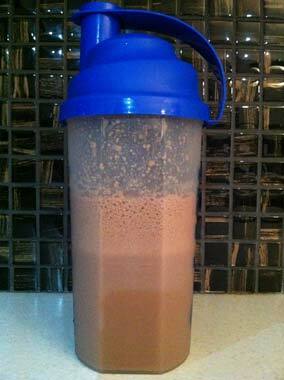 Whey Maxx Mixability: 50g of powder + 400ml of water. Whey Maxx mixes awfully. The powder flat out refuses to mix with water. It actually makes oil look good. 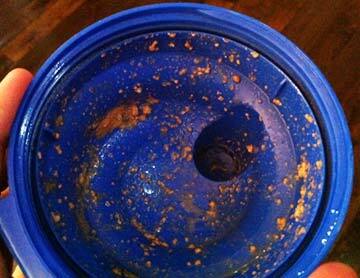 Chunks of half-mixed powder thrown up the inside walls of your shaker. Cloudy water, containing the small amount of powder + water that actually managed to reluctantly mix together. The worst part is #2 – the lumpy and frothy sludge. This part contains most of that protein goodness, and there's no way you're going to get that in to your system unless you've got a fork. 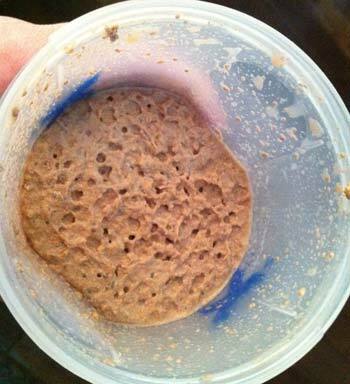 I've never seen a whey powder mix like this before. It's so bad it's impressive. I honestly have seen very, very few whey supplements that mix this badly. 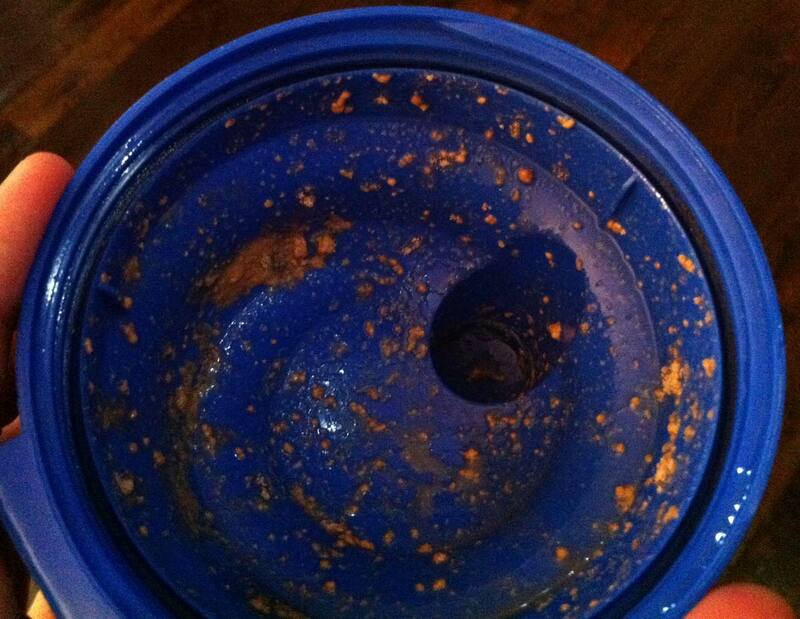 The inside of your shaker looks like an absolute travesty after you've finished shaking and "mixing". I haven't tried mixing Whey Maxx with Milk yet in fear that my shaker would just explode and die. A view of the inside of the shaker lid – because you can't have enough pics to highlight just how bad this powder mixes. Along with the poor mixability with water, the actual powder itself is a pain too. The powder is really fine (as in "thin"), so any movement of the tub with the lid off results in an explosion of powder particles. When you're rotating the tub and searching for the scoop you'll feel like a wizard in a talcum powder factory. It's like the seals you sometimes get on milk cartons, but it's way harder and more painful.